This seasoned veteran has shown great versatility winning national championships in cross country, track and on the roads - a feat few Americans have accomplished. An incredibly talented runner, Tim's longevity at such a high level has impressed many over the years. 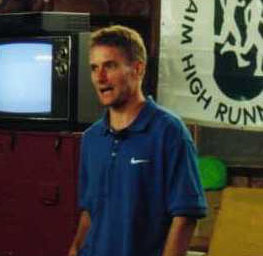 He won two Wisconsin State High School Cross Country Championships in the early 1980's, won the NCAA Cross Country Championship in 1985 and twelve years later won the USATF Cross Country Championship in 1997 at age 34. Not to be forgotten on the track, Tim has run the 10th fastest time by an American clocking 3:34.66 and won the USATF 5000m Championship in 1989. On top of all his running accomplishments Tim is a full-time professor of Physical Therapy at Concordia University Wisconsin and has a Ph.D. in Exercise Physiology. Tim lives and trains in Madison, WI with his wife Carol and three sons.